Bluegrass Pundit: How did Nancy Pelosi Get So Rich? As Speaker of the House, Nancy Pelosi makes $223,500 a year. According to records analyzed by The Hill, Nancy Pelosi's net worth rose in 2009 from $13.7 million in 2008 to $21.7 million in 2009. 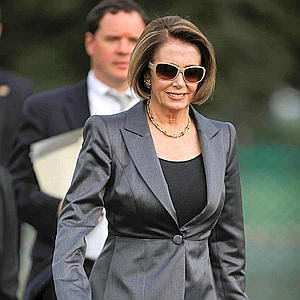 Pelosi seems to be immune from the effects of the economic recession that has devastated many Americans. According to The Hill’s analysis of financial disclosure forms filed last summer, the Speaker’s net worth rose more in 2009 than any other lawmaker’s, from $13.7 million in 2008 to $21.7 million in 2009.